If you are looking to achieve large high definition images bigger than 2.5mtr wide with today's technology there are number of ways you can achieve it. If the images need to be seamless, bright, vivid and clearly visible regardless of how much ambient light is in the environment then LED Walls are for you. Why Choose An LED Wall Solution? If you are looking to display a large high definition image in excess of 2.5mtr wide, with today's technology there are number of ways you can achieve it. By far the most cost effective way is to use projection. But if there is high levels of ambient light in the environment and you want to display consistently bright and vivid images then even the brightest projector is going to struggle to achieve this with images potentially looking washed out and flat. You could use a single Large Format Display screen. To achieve this sort of image size would require a 98 inch diagonal screen. 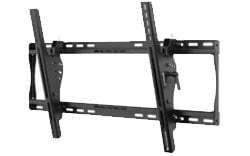 Single displays of this size are expensive, limited in choice and are very heavy and cumbersome when it comes to installation requiring potential wall reinforcing prior to mounting. You could opt for a video wall which is made up of a number of smaller screens butting together to achieve the one large overall image. The down side to this is each display has its own bezel surrounding it which in turn produces a visible grid pattern across the entire single image. An LED Wall suffers none of the above issues. LED Walls are modular and made up of slim LED panels installed flush beside each other to create a seamless display with no bezels disrupting the image. They are expensive compared to projection but large LED Walls are becoming far more comparable in cost to similar size LFD video walls. 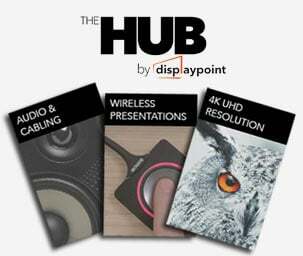 There are many LED Wall brands available but here at DisplayPoint we have partnered with Optoma. With a wealth of experience in the LED display markets from corporate to higher education through to retail and outdoor use, Optoma offer a fully comprehensive line up of LED Wall solutions from bespoke to pre-designed and pre-configured out of box options. The ranges cover both Full High Definition 1080p and Ultra High Definition 4K UHD resolution as well the full spectrum of pixel pitches from 1.5mm to 3.9mm. 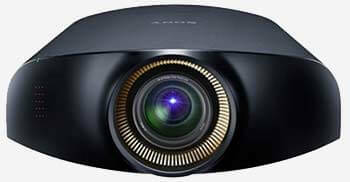 In the event of a problem, Optoma own and operate an in house UK service centre and technical support. With a full complement of pixel pitches available, Optoma LED walls can be deployed in any environment inside or out. There are a number of clearly defined markets where LED Walls can be found in use. Enhance any reception area, lobby, conference or boardroom with bright, eye catching visuals that remain consistently bright regardless of ambient light sources such as windows or room lights. Captivate audiences with large, vibrant, true-to-life colours in lecture halls and conference centres regardless of seating distance. Create eye-catching retail spaces with consistently bright, true-to-life colours to captivate shoppers effortlessly even in the brightest of environments. Whether it's for indoor or outdoor use, create engaging signage with bright, eye-catching visuals. Transform leisure and hospitality environments - from reception areas to indoor public walkways to restaurants and bars. Some LED Walls are only accessible from the rear which would need substantial framework, designed and signed-off by structural engineers. All of Optoma’s out of the box solutions are designed to be mounted directly onto the wall using screws and are front serviceable with no cabling required to connect each tile. This makes installation and servicing quick and efficient. They also have 3-axis adjustments to mitigate uneven walls. If one panel gets damaged, it can be simply swapped out without having to dismantle the entire wall. It is easier and cheaper to change this single panel within an LED wall than for an LFD or videowall. Every display comes with a custom tool kit with everything needed to install, as well as spare LED panels and components. This includes a unique suction device for removing individual panels which significantly reduces the potential for damage during installation and servicing, minimising downtime. Removing the complexities from LED Walls, Optoma offer pre-designed, pre-configured Full High Definition or Ultra High Definition indoor LED Wall packages. Packages include all elements needed to install and setup a functional LED wall : panels, tiles, cabling, compatible scalers and switchers. The ultra-thin, 16:9 native aspect ratio displays blend discreetly into any corporate, higher education, hospitality and digital signage environment. 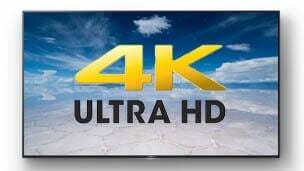 Easy to install, operate and maintain, they are designed for ultimate reliability and superior image quality. The displays can be mounted directly on to a suitable wall without a mounting frame. Front access enables low-cost installation and easy maintenance. Screen Size (Diagonal) : 130"
Screen Size (Diagonal) : 136"
Screen Size (Diagonal) : 180"
Screen Size (Diagonal) : 226"
If your project requires a more bespoke approach, Optoma’s THD series are available in 1.5mm to 3.9mm pixel pitch allowing you to create custom wall sizes to suit your needs. 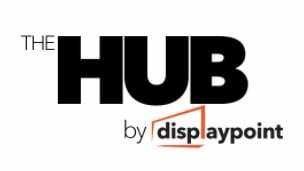 The THD series are seamless modular 16:9 displays, with high contrast and brightness levels, designed for surface mounting with front install and maintenance as standard. Optoma have a number of warranty offerings to support your LED Wall once it's up and running to best suit your needs. Both standard and advanced warranty options are available as well as spare parts advance replacement, onsite technical support and unlimited phone/email warranty support options. Whatever your requirement, Optoma have a warranty to support you and your purchase. Here at DisplayPoint we hold an Optoma Authorised partner status, something Optoma do not hand out lightly and something we are very proud to hold. Our team have all been on accreditation training at Optoma UK so rest assured the advice you get from us pre, during or post install is of the highest standards. If you like the look of Optoma LED Wall solutions and what they could do for your environment but would like to know more, simply give us a call or drop us an email and we will happy to discuss your requirements with you and advise on the best solution for your needs.